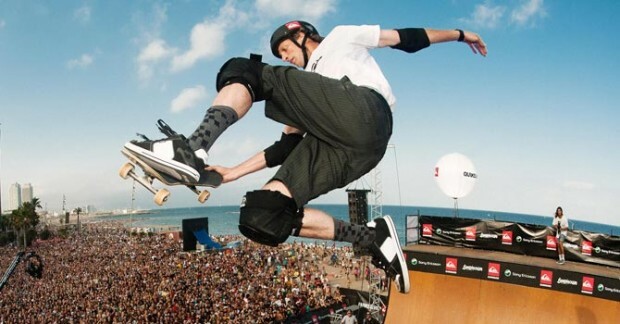 After a leak earlier this year, Tony Hawk’s Pro Skater 5 has been officially revealed. The game will be developed by Robomodo, and will come to PlayStation 4 and Xbox One later this year, with the PlayStation 3 and Xbox 360 versions to follow sometime after. According to GameInformer, Pro Skater 5 will feature both cooperative and competitive multiplayer modes, and players will be able to create their own skate parks and share them with others online. Skaters confirmed to be featured in Pro Skater 5 include Tony Hawk himself, as well as Nyjah Huston, Aaron Homoki, Ishod Wair, Riley Hawk, Lizzie Armanto, Chris Cole, David Gonzalez, Leticia Bufoni, and Andrew Reynolds. Check out the first screens of Pro Skater 5 below, courtesy of GameInformer.